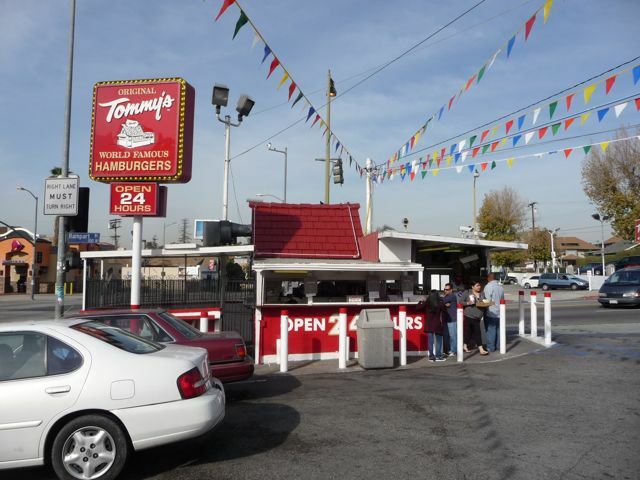 Tommy's is a Los Angeles based hamburger chain specializing in chili-topped burgers, hotdogs, and fries. 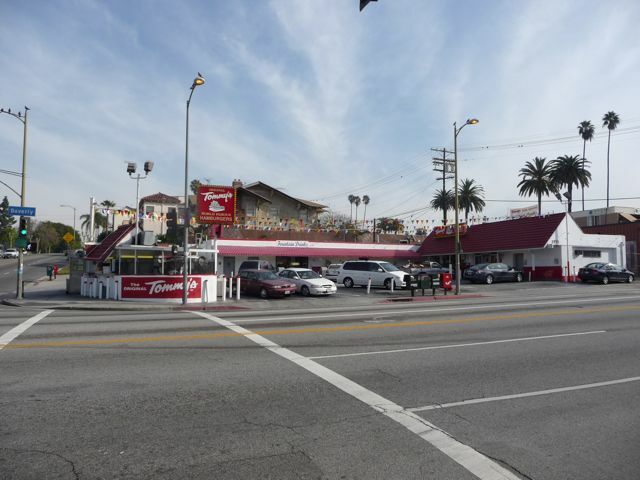 The original, and still most popular location, is on the corner of Beverly & Rampart just northwest of downtown Los Angeles in the Westlake district. 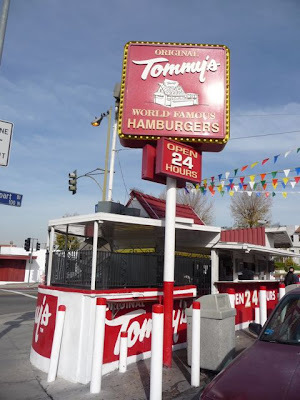 Even though I grew up in Los Angeles, I wasn't aware Tommy's even existed until my second year at UCLA when a fraternity brother took a few of us on our first "Tommy's Run." 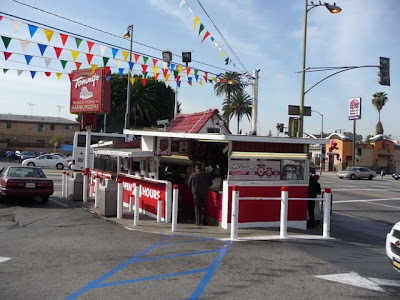 Apparently, USC students are even greater fans of Tommy's - perhaps because of the proximity of the original stand to the campus, or perhaps because USC's mascot is "Tommy" Trojan. Either way, lines can literally wrap around the block after a 'SC football game. When I was in Los Angeles a few weeks ago, it was very quiet. No crowds, no lines, just a couple of customers. Of course, it was only 9:30am on a Saturday. And, yes, Tommy's is open 24 hours. According to their website, tour groups from around the world include the original Tommy's stand as one of their stops. 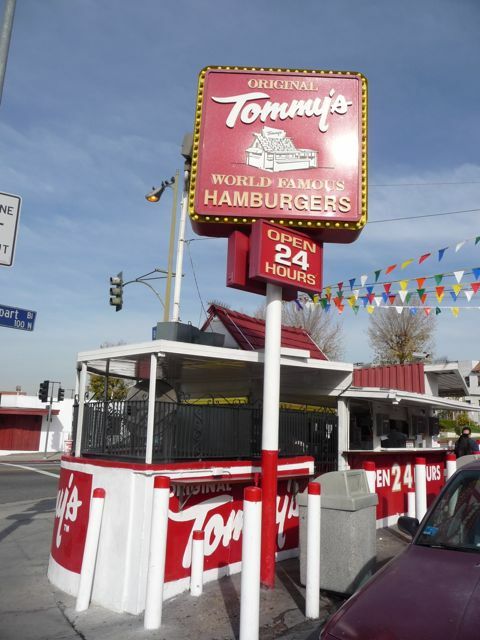 Foreign press and television programs have featured Tommy's as "L.A.'s quintessential fast food." 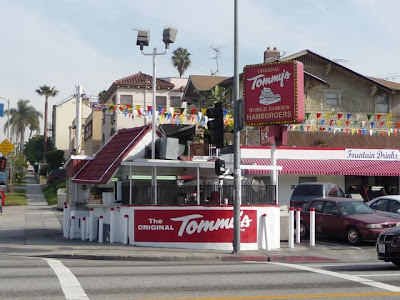 Tommy's is also one of the most copied chains that I'm aware of. Driving around L.A. you'll see "Tommies" or "Tomy's" or even "Tommas." But only the original "Tommy's" has the iconic "shack" as part of their logo. Their tag line is "if you don't see the shack - take it back." Is there anything profound to say about a hamburger stand? I'm not sure . . . perhaps that in a city that's divided by socio-economic and ethnic differences, it's one of the few places I know that both rich and poor, black and white, Anglo and Latino, blue collar and white collar actually mingle. Sure, it's only for a burger, fries, and a soda, but that's still OK. I was in Los Angeles again this weekend and took the family I was staying with to Tommy's in Santa Monica. 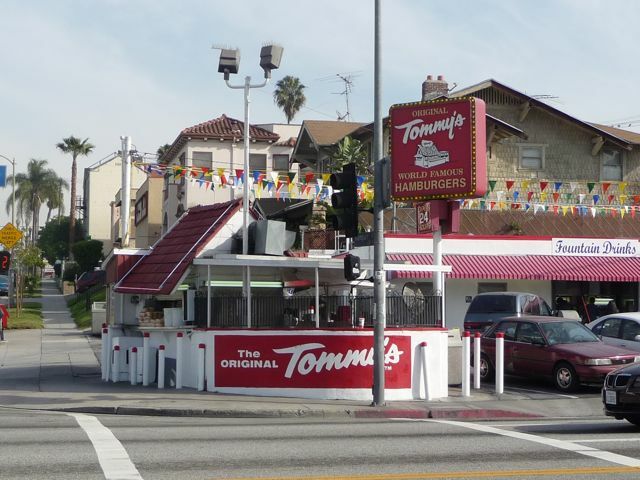 Even though they've lived in Los Angeles their entire lives, it was the first time to Tommy's for all of them. Their little eight year old boy commented "the burger is like In-and-Out - but the chili is outstanding." They've got a customer for life.